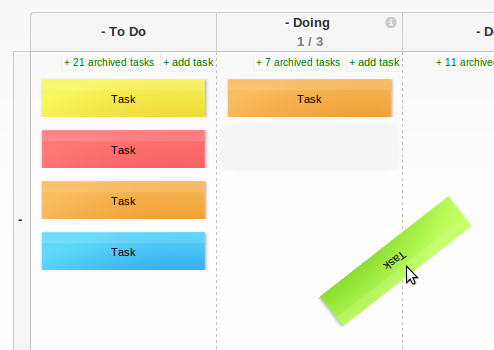 Would you like to add a little bit of life to your task board? If yes, we have a nice surprise for you. Recently we have added a new script to the repository for the Developer Tools power-up. A script Sorting animations by Adam Horesh, a programmer at Kontera Israel, adds various animations to card moves. Each card color has its own cool animation. To enable movement animations, copy the link to the script and enter it as shown below.